On "break" #4 up picks for #2. #1 down picks for #5. 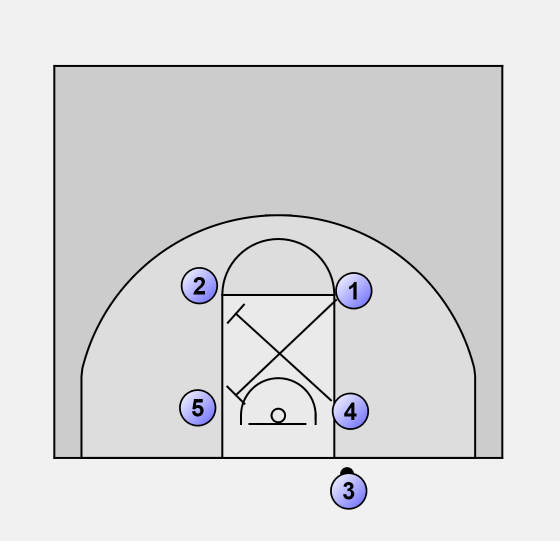 #5 break off of the pick to the high post. 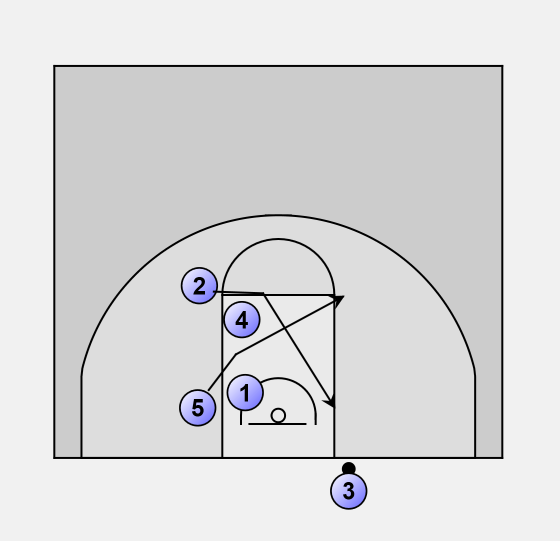 #2 breaks off of the pick to the low block. 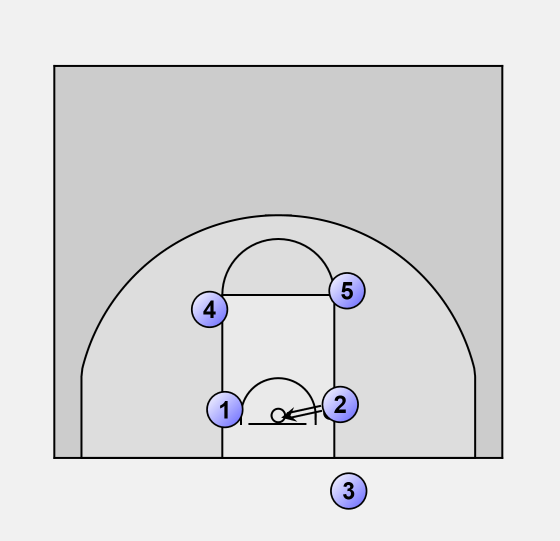 #2 and #5 ball side and #1 blocking out on the back side. the player that gets the ball makes the bucket.